The court denied defendant's motion for attorneys' fees under 35 U.S.C. § 285 following summary judgment based on plaintiff's alleged filing of a frivolous lawsuit. "Unless the request for attorneys’ fees is based on litigation misconduct or inequitable conduct before the PTO, a court should award attorneys’ fees 'only if both (1) the litigation is brought in subjective bad faith, and (2) the litigation is objectively baseless.' . . . Defendant argues that attorneys’ fees should be awarded because Plaintiff filed this frivolous lawsuit. However, Defendant has not provided any evidence of Plaintiff’s subjective bad faith. As such, Defendant has not met its burden to show that this is an exceptional case which merits attorneys’ fees." In granting defendants' motions for summary judgment of no literal infringement, the court rejected plaintiff's joint infringement theory based on defendants' alleged control of certain third parties. "[E]ven if [plaintiff] had argued and proven that the stored procedures unequivocally 'gain entry' to all records of open orders, and even if [defendants'] vendors undisputedly wrote stored procedures pursuant to instructional guides provided by [defendants], [plaintiff] could not prevail on a joint infringement theory because the issuance of calls to [vendor] databases and the provision of instructions to an arms length business partner do not constitute ''control or direction' over the entire process such that every step is attributable to' [defendants]. In other words, [plaintiff] misconstrues 'the control or direction standard,' which inquires whether 'the law would traditionally hold the accused direct infringer vicariously liable for the acts committed by another party.' But [plaintiff] does not dispute (and has put forth no evidence refuting) [defendants'] showing that their relationships with OMS vendors amount to no more than 'mere "arms-length cooperation"' that 'will not give rise to direct infringement by any party.'" Liquidnet Holdings, Inc. v. Pulse Trading, Inc, 1-07-cv-06886 (NYSD December 21, 2010, Order) (Scheindlin, J.). Plaintiff's motion to dismiss its own claims with prejudice, and defendant's counterclaims without prejudice, was granted but the court gave defendant leave to move for attorneys' fees under 35 U.S.C. § 285 which could result in a post-dismissal determination of unenforceability. "In [Leviton Mfg Co. v. Shanghai Meihao Elec., Inc., 613 F. Supp. 2d 670 (D. Md. 2009)] . . . the Federal Circuit’s holding did nothing to unsettle the district court’s initial steps of dismissing the patent claims with prejudice and granting the defendant leave to move for fees. . . . Inequitable conduct is one possible theory at issue in the overall § 285 fees context. If it is established, unenforceability 'follows automatically' as a matter of law." Defendant's motion to disqualify plaintiff's counsel was granted where counsel represented plaintiff in the current dispute and was subsequently retained by defendant in connection with a reexamination proceeding involving different patents and an unrelated indemnity dispute. "Once [plaintiff's counsel] accepted [defendant] as a client, the firm owed [defendant] a duty of loyalty. [Plaintiff's counsel] breached that duty . . . by assisting [plaintiff] in advancing patent infringement claims against [defendant]. Although the consequence of that breach -- per se disqualification -- does negatively impact [plaintiff's counsel's] first client, [plaintiff], allowing [it] to avoid that consequence by simply withdrawing as counsel for [defendant], a secondly acquired but nonetheless fully engaged client, is not the best way to restore confidence in the legal profession. . . . Once a client engages a lawyer, that client must be able to expect undivided loyalty. Even though disqualification is a harsh penalty, allowing a law firm to resolve voluntarily created conflicting loyalties by simply dropping the less favored client undermines this expectation." In calculating a false marking fine upon plaintiffs' motion for default judgment, the court applied a fine that was greater than the selling price of some falsely marked products (Christmas tree stands). "Defendant falsely marked 24,000 articles. The Court notes that the items manufactured vary materially in price from $30.27 per unit to $169.70. Because of this price variation, the Court determines that the $169.70 per unit price should be reduced by fifty percent (50%) and this price ($84.75) will be applied to the 20,400 units sold at prices of $30.27 or $67.70. The Court determines that applying the highest unit price of $84.75 for these substantially lower price units achieves the deterrent goal of § 292’s fine provisions. Using the 'highest point of the price range,' $169.50, for the 3,600 articles amounts to a total fine for these units of $610,200. Applying an $84.75 highest point of the price range to the remaining 20,400 articles amounts to a total fine for them of $1,728,900, for an aggregate fine of $2,339,100." Defendant's motion for Rule 11 sanctions for plaintiffs' filing of a qui tam false marking action was denied despite defendant's arguments that plaintiffs' counsel knew the mismarking was a scrivener's error that could not be corrected due to a lack funds. "[A]lthough Defendant has asserted potentially plausible arguments that he lacked the requisite intent for liability under § 292, these assertions go to the merits of the false marking claim, which the Court is in no position to prejudge as of this early stage of the case. Those arguments do not, by themselves, substantiate a claim that Plaintiffs’ attorneys abused the litigation process by contending that Defendant did in fact possess the requisite intent." Defendant's motion to dismiss plaintiff's declaratory relief claims of noninfringement and invalidity for lack of subject matter jurisdiction was granted because plaintiff's device was still in early development. "[Plaintiff] argues that the present controversy satisfies the immediacy prong of [MedImmune, Inc. v. Genentech, Inc., 549 U.S. 118, 127 (2007)] because '[plaintiff] has reached a point where it would incur substantial expenses in conducting bench, animal and clinical testing.' However, in light of Plaintiff’s own allegations that '[p]rior to being introduced for commercial sale, [plaintiff's] medical devices undergo rigorous and intensive laboratory testing, in vitro and in vivo studies, and clinical trials,' and that '[t]ypically, a product may undergo many years of testing and clinical trials . . . before being ready for commercial sale,' it remains uncertain when, if ever, the declaratory plaintiff would engage in potentially infringing activity. 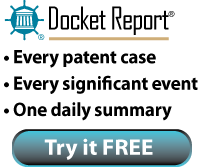 While Plaintiff contends that it 'has completed the design of its products,' it has not yet submitted them for approval by the [FDA], which suggests, consistent with its own factual allegations, that it has yet to initiate the 'many years' of testing and clinical trials required prior to commercialization. That Plaintiff has reached a point where it would 'incur substantial expenses' by embarking on bench, animal, and clinical testing is also insufficient to satisfy the immediacy requirement where the potentially infringing activity could still be 'many years' away." In granting plaintiff's motion for summary judgment on defendants' false marking counterclaim, the court determined that plaintiff's warranty cards contained within its product packaging were not "used in advertising" as contemplated by 35 U.S.C. § 292. "Given the plain meaning of 'advertising' and the body of law interpreting 'advertising' in the Lanham context, the Court finds that [plaintiff's] warranty cards are not 'advertising' subject to false marking liability. [Plaintiff's] warranty cards are found inside the packaging; they are invisible until the product is purchased and the packaging opened. And in that regard, they are not used to call something to the attention of the public by way of paid announcement. It would be impossible for them to call attention to the eyewear before the eyewear is purchased." The court denied defendants' motion to preclude the testimony of plaintiff's damages expert on the issue of a reasonable royalty even though the expert's royalty exceeded defendant's profits and, in some cases, the selling price of the accused products. "[P]laintiff . . . argues that [its damages expert] was correct not to put a cap on damages because the profits earned by the defendants in the eroded market that they allegedly created should not be used to set the limits on damages. Again, assuming that the information provided to [the expert] [i.e., that 'but for' the infringement prices would have been substantially higher] is supported by proper factual predicates, [the expert's] reliance on this information does not compel the exclusion of 'but for' pricing in the reasonable royalty calculation." For Divided Infringement, Proof of Agency Not Required to Establish "Direction and Control"
The court denied in part defendant's motion for summary judgment of noninfringement based on a divided infringement theory even though the third party performing a step of the claimed method was not defendant's agent. "The parties’ dispute turns on the appropriate test for control or direction. . . . [Defendant's payment processing contractor] is clearly not an agent of [defendant]. There is no evidence that [defendant] asked [its contractor] to customize its services in any way. Rather, the evidence shows that [defendant] entered into the standard contract that [its contractor] provides all its customers. . . . Nonetheless, the Federal Circuit has stated that a party cannot avoid infringement, simply by contracting out steps of a patented process to another entity. . . . This suggests that control and direction must be considered from the perspective of the claim limitation that the third party is alleged to satisfy. If [defendant's payment processing contractor] could fulfill its obligation under the contract without satisfying the limitation at issue, [defendant] could be said not to control or direct [its contractor]. However, [plaintiff] has presented evidence that [defendant] contracted [its contractor] to perform the exact steps required by the claims. [Defendant] required [its contractor] to satisfy the limitations at issue and there is no evidence that [its contractor] had the discretion to perform its services in any other manner." The court denied defendant's motion for summary judgment of noninfringement on the basis of divided infringement because the method step allegedly performed by a third party was part of a preamble and therefore not limiting. "[Defendant's] analysis suggests that it does not infringe because another party provides the responsive signals. Here, the claimed methods state that they are 'for use' with remote terminals that provide responsive signals. Thus, the preamble as a whole is not limiting because it merely states the intended purpose of the invention. To infringe [those claims], the accused infringer does not need to provide the responsive signals; it needs to perform steps that operate on those signals in the prescribed manner." In denying defendants' motion to transfer venue the court found that plaintiff's incorporation in Texas four months before filing suit did not weigh against transfer. "[S]ince [plaintiff] filed its complaint four months after incorporation, [its] formation in Texas is not 'recent' under Federal Circuit precedent. Further, [plaintiff] has established . . . that two of [its] three principals live in Texas. . . . Therefore, [plaintiff's] connections to Texas will be given some weight. Furthermore, there is no reason to believe [plaintiff] transported documents to Texas to create venue, as Defendants contend. . . . The Court recognizes that [plaintiff] may be in the process of transporting documents from Illinois to Texas. The Court concludes, however, that these documents are not being transported to manipulate venue, but rather to aid in normal business functions, functions that originated in Texas." Defendant's motion to dismiss plaintiff's qui tam false marking action for failure to allege intent to deceive was denied where plaintiff alleged defendant changed its packaging several times after the patent-at-issue expired. "[T]he court finds that the packaging change allegations support the pleading of intent to deceive sufficiently to survive a motion to dismiss." Plaintiff was deceived into choosing a Butterball Turkey when looking to buy at the grocery store and noticed the added convenience of a lifting device included in the Butterball Turkey packaging. Plaintiff called BB's consumer affairs on November 29, 2010 at 5:53 pm to inquire about the patent number of the turkey lifter. Plaintiff talked to a BB employee named Jenna who spoke to her supervisor and returned with the answer that they didn't know the patent number but that there was a patent on the turkey lifter. After a few minute conversation Jenna continued to conclude the phone call with "I just don't know the patent number but I do know there is a patent." BB blatantly intended to deceive the plaintiff into believing the false patent mark advertising of a patented turkey lifter was correct. Plaintiff returned to the store and conversed with fellow shoppers at the turkey freezer and discussed the lifter device. It was apparent that the public is readily deceived, like the Plaintiff was, into thinking no other turkey will be sold with such a device because it is patented. What are the potential damages for these offenses in the view of the plaintiff? Upon information and belief, more than 232 million turkeys are consumed in the United States in each year. It's estimated that 46 million of those turkeys are eaten at Thanksgiving,22 million at Christmas and 19 million at Easter. With BB claiming to account for 20 percent of the total turkey production in this country it is likely that at least during the 2010 Thanksgiving period alone, BB sold over 9 million falsely marked turkeys, and thus the damages for which BB are responsible in this action could far exceed $10,000,000.00. Of note, this is the second false marking suit filed against Butterball. In the previously filed Promote Innovation v. Butterball, LLC, filed on Black Friday of this year in the same district, the turkey lifter is again at issue. Apparently though, the plaintiffs in this case asked someone a little more helpful than Jenna. They list the patent for the lifter as 3,784,069. Defendant's motion to dismiss plaintiff's qui tam false marking action for failing to plead with particularity was granted where plaintiff alleged the websites of defendant's affiliates claimed defendant's product was patented. "Plaintiff alleges that, for advertising purposes, [defendant] provided affiliates with false information that [the accused product] was patented and did so with intent to mislead the public. In other words, [defendant], with ill intent, falsely advertised through third parties that [the accused product] was patented. . . . Although Plaintiff’s theory of liability is not legally defective, he has failed to plead sufficient facts to support it as required under Rule 9(b). Plaintiff does not plead how the alleged fraud operated or any facts regarding [defendant’s] relationship with its so-called affiliates. He does not allege that [defendant] deceived them or exercised control over them. . . . Further, Plaintiff fails to plead the identities of the three affiliate marketers that stated that 'the manufacturer' supplied them with the challenged text. Plaintiff does not even allege that [defendant] is 'the manufacturer' to which these marketers referred." Plaintiff's motion to compel "Nokia to produce all licensing agreements covering wireless products that comply with third generation ('3G') telecommunication standards known as CDMA and WCDMA" was granted. "[Defendant's] licenses-out and cross-licenses provide information about how the telecommunications industry values CDMA and WCDMA technology and the licensing customs of the industry. While these licenses may be extensive, involve multiple parties and hundreds of patents that make it difficult for an expert to attribute value to the small number of patents-in-suit, that is an argument that goes to the weight that a damages expert may give to a particular license agreement, not whether or not a license agreement is relevant or should be produced." Plaintiff's motion to reclaim privileged documents where it attached privileged documents to a motion filed under seal, and not for in camera review, was denied. "Filing under seal protects the documents from view of the public. On the other hand, filing documents in camera protects the documents from view of the public and also other parties in the case -- only the Court can view the documents. Therefore, filing the documents under seal and serving them on the defendants has the same effect as disclosing documents to a third party and thus waiving the privilege." Defendants' motion for summary judgment of noninfringement was granted as to direct infringement, but denied as to induced infringement. "While pre-issuance conduct alone cannot be grounds for induced infringement of the [patent-in-suit], pre-issuance activity may offer evidence sufficient to infer post-issuance activity. Here, Defendants sold their products using a presentation that would have constituted inducement had the patent then been in force. The jury may infer from documented pre-issuance sales techniques that Defendants continued to use these techniques and thus induced infringement after [that] patent issued." Defendant's motion to dismiss plaintiff's qui tam false marking action for failing to plead intent to deceive with particularity was denied. "[Plaintiff's] allegations of deceptive intent are sufficient under Rule 9(b), given that those allegations need only be alleged generally. [Defendant] argues its alleged scheme to deceive the public 'stands no rational chance of success' because the '"public" comprises [sic] sophisticated pharmaceutical competitors, who [sic], Plaintiff alleges, without a shred of support, might be "discourag[ed] or deter[red] from commercializing competing products."' Defendant’s argument fails. A valid and enforceable patent generates a zone of exclusivity within which prospective competitors, regardless of their sophistication, cannot operate. A company’s false marking of a product line sends a signal to its competitors, both actual and potential, that that line is subject to intellectual-property protection. Such false signals constitute an impediment to competition, even when they are directed at experienced, business-savvy, and knowledgeable rivals. . . . Even if one were convinced that 'sophisticated' competitors would never be dissuaded by false marking, it is quite clear that Congress did not hold that view. The False Marking Statute makes no reference to the proclivity of a particular instance of false marking to negatively affect competition, and does not purport to exempt false markings that would not deter competitors in a given case." Plaintiff's motion for a temporary restraining order precluding defendants from selling certain handbags was granted. "[Plaintiff] has built a significant reputation in the handbag industry for designing and manufacturing snaps for high-end makers of handbags. . . . [Plaintiff] has no control over a customer’s dissatisfaction with the counterfeit snaps and a company’s reputation and goodwill is not easily compensable. [G]iven the high volume of shopping during the holiday season, [plaintiff] stands to suffer an even more significant injury to its reputation as it is likely that many [defendant] handbags, which include the counterfeit snap fasteners, will be purchased in the coming weeks. Accordingly, the Court concludes that the plaintiff has met its burden in proving a threat of irreparable injury." The court granted defendants' motion to compel the production of settlement communications leading to litigation-induced license agreements because the communications would help determine the admissibility of the license agreements. "Although other courts in this District are split on whether litigation induced settlement agreements are admissible at trial, this Court takes a case-by-case approach to the issue. Whether the settlement agreements are admissible will likely depend on whether they are an accurate reflection of the inventions’ value. In this case, the settlement communications are likely to be key in determining whether the settlement agreements accurately reflect the inventions’ value or were strongly influenced by a desire to avoid or end full litigation. Defendants have demonstrated that, even within the same type of industry, different companies have settled for vastly different amounts. Companies with higher internet sales revenues have settled for less than companies with much lower internet sales revenues. Thus, the settlement amounts do not seem to be correlated to the companies’ potential damages exposure. Additionally, some companies have had secondary agreements that have required them to pay less than the original settlement amount. The settlement communications will likely explain these inconsistencies."